Traceability is a core capability to efficiently orchestrate goods to market and mitigate risks. Complete supply chain traceability includes visibility into both product creation and the movement of goods and assets across company and system boundaries. Achieving this can be challenging, but the right tools make it possible. 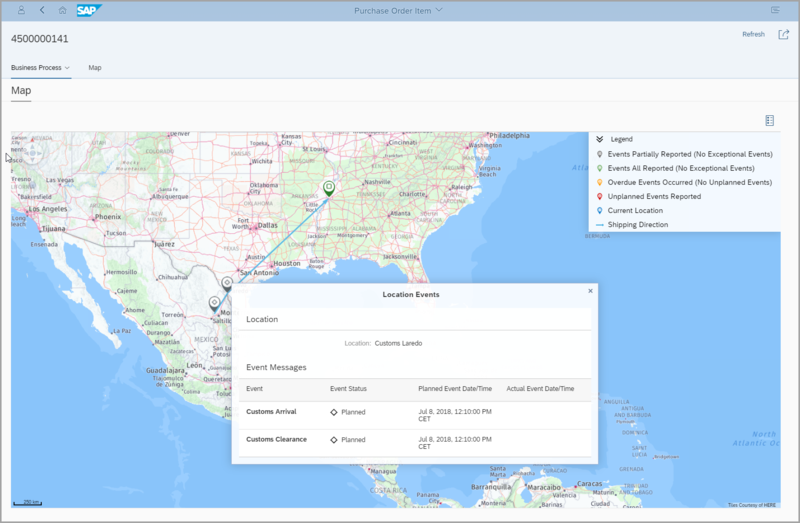 The new cloud application SAP Global Track and Trace (GTT) provides an end-to-end process visibility and status monitoring, enhanced with cloud-based, multi-tier logistics network capabilities, for all kinds of logistics and execution processes but also tracking of serialized objects. Capture, process and store messages with tracking information relevant to each business process and object. Query with detailed information of tracked process and object which includes: status, date and time of the planned/unplanned events (milestones). Notify relevant stakeholders in the network about status of the business process and object. Share data and provide visibility across multiple business partners and relevant stakeholders in a supply network. Rely on the big data architecture of GTT and scalability for any kind of scenario. Be always up to date with newest functionality through continuous delivery of GTT. SAP GTT provides out of the box integration into the SAP ERP for different processes which can be tracked, like Deliveries or Shipments. With the May 2018 release of GTT object tracking and EPCIS support were incorporated into Core Data Model together with EPCIS Capture interface supporting various events. Integration with geo maps allows you to track planned/actual events on the map. Different color codes are used for event statuses and event context information. Event-to-Action Engine allows you to define Rules to automatically trigger actions if certain events are processed for a tracked process instance. It can send notifications to specific users, update the status properties or the tracked process instance or even trigger a generic message to the SAP Cloud Platform Integration for various follow up actions (etc. status change or action in SAP ERP system). Is a tool for periodic detection of planned events that are overdue. Event status of the planned event is set to “Overdue” and Event-to-Action Engine can be used to trigger additional actions. Together with our partners GTT provides the possibility to integrate with many different sensor types, measuring a wide range of parameters. 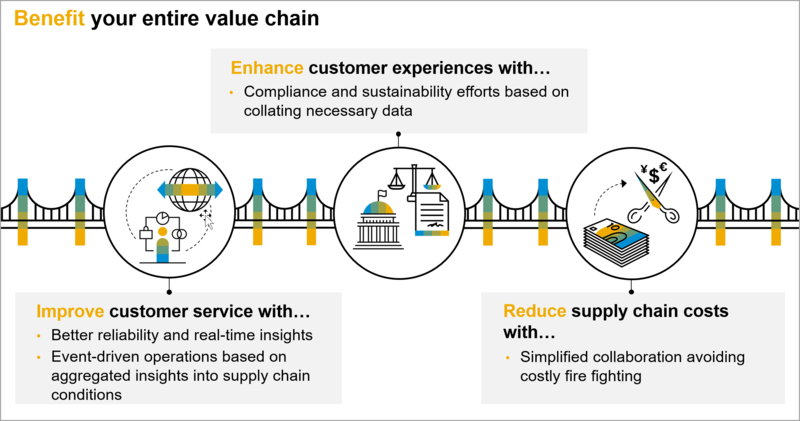 SAP Global Track and Trace is the best in class global business network to enable track and trace across global sourcing, logistics and fulfillment networks, enabling real-time insights into your global value chain from raw material to end of life. Stay tuned for regular updates and functionality previews or drop me a request for more information immediately. Is there some factual evidence to support this claim? Who else is in the class and why are they not the best? SAP Global Track and Trace has a unique standing. From a functionality point of view SAP GTT focuses on process, (serialized) object and (in process) genealogy tracking powered by the network approach and big data engine in the backend. And not only this – what is outstanding is the integration path from the real world (e.g. sensor data) to the business systems in the backend, for sure especially SAP systems, where we provide out of the box integration. For me, this qualifies SAP GTT to be best in class, however, I would like to refrain from making comparisons with competitors at this stage. I will leave that job to analysts and will gladly publish their results as soon as available. So being “unique” simply makes it “best” by definition? Is that what you’re trying to say? Sorry, but simply claiming things to be “best” might fly on LinkedIn or Forbes. This is a professional website, so when someone claims an advantage those claims are expected to be supported by facts. E.g. if I decide to recommend a special ABAP technique I’ll have the runtime analysis results to prove it. I’m not going to write “I’ll leave it to someone else to prove my point” because I’m the author and I take responsibility for what I post. Otherwise how can such information (and the whole blog) be taken seriously? I don’t mean to pick on you personally but, unfortunately, SAP Community has been lately overtaken by marketing content, which is usually characterized by grand statements made with no supporting evidence. And for the active contributors it’s painful to see this site to turn into Forbes-2. There is no reason to just post “fluff” on SCN. If you have some specific information then share it and the educated readers can then decide what’s best or not. I understand that you are looking for another level of details. We are just starting and as you can see this is the first blog on this topic and as mentioned in my post shortly we will provide regular updates and also deep dives into the functionality. And for sure you welcome to contact me directly if you have specific questions. could i have some information about SAP GTT Courses , please? Or Internal specific training as SAP Partner. Hi Bruno, please drop me an e-mail to my “first name”.”last name”@sap.com and I will send you the according information.